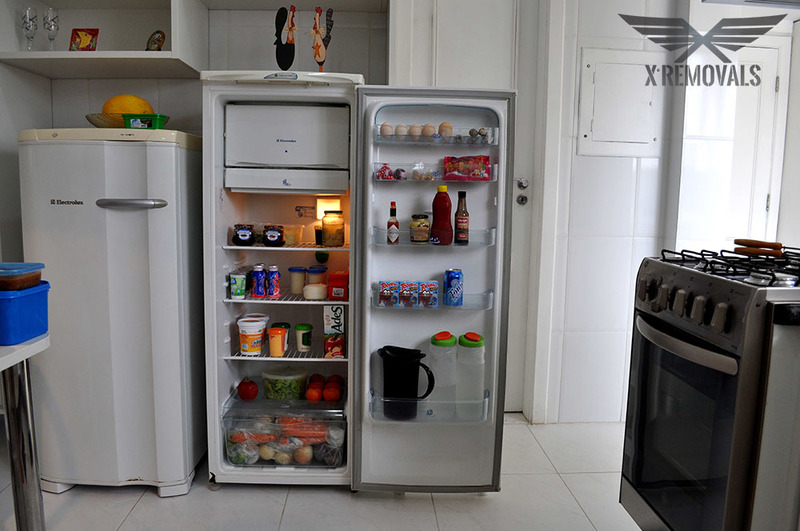 People opt to move a refrigerator by themselves because they will save a lot of money. Movers might charge a lot for this service. Therefore, there is nothing wrong with moving it on your own, as long as you are familiar with basics when preparing your refrigerator for moving, protecting it and moving it. 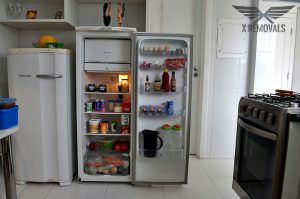 Here are few tips on how to prepare your refrigerator for removal and how to move it. When moving a fridge, you have to have proper equipment because it is a heavy item that needs to be moved with care. Before you start, you need to make sure that you have proper clothes on and have proper moving equipment. First, you will need comfortable shoes and appropriate, not too baggy clothes. Second, you will need sliders, protective blankets, a dolly, and a rope. And finally, help from friends is necessary because, obviously, you cannot move the fridge by yourself. Therefore, it is not recommended to start moving your fridge if you don’t have required tools and supplies, and your friends’ help. Also, take your time and plan every step of the removal so you avoid common mistakes and damage the fridge, or worse, cause injuries. After you get necessary equipment, it is time to prepare your refrigerator for the move. First thing you should do is to empty it. You need to decide what to do with the food. Perhaps you will store it, give it away or find other way to handle it. After you unplug it, it is a defrosting time. You just need to wait for couple of hours and that’s it. Next step is removing wet spots and cleaning it. You can use homemade cleaner like baking soda and lemon, which will help you remove unwanted odour as well. Finally, it is time to remove all the drawers and other removable elements off the fridge and wrap them into a bubble wrap and pack them separately to avoid damage. After you have made all necessary preparations, it is time to pack the fridge. Packing it is a simple task. You need to close the door and use protective blankets or your old blankets you don’t use anymore. Use a tape to secure the wrapping. After that, use a rope or some kind of a strong cord to secure the door additionally. And one more task is left. Make sure you fold up the power cord and tape it to the back of the refrigerator. This will help you avoid accidents and injuries by tripping on it during its move. Plus, the risk of ripping it out is reduced to a minimum. Packing is done. It is time to move your fridge. Start with sliding it away from the wall with a help of your friend. Slide the dolly underneath and make sure it is stable before you move it. You can use straps to additionally secure the fridge. Wheel it to the moving truck slowly and carefully. Have your helpers with you all the time. Load the fridge along the ramp. Finally, the fridge is in and it is ready to be transported.